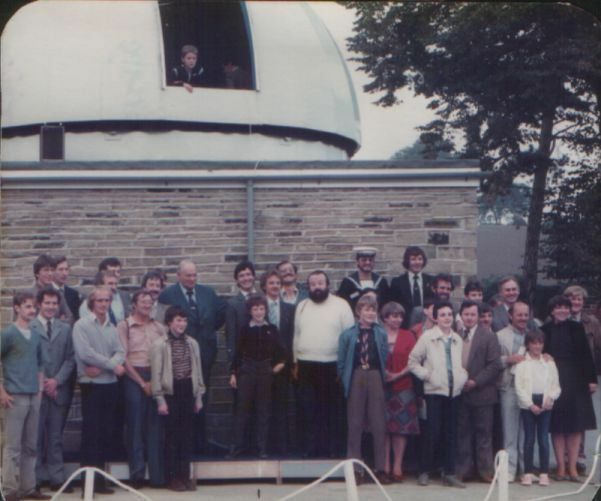 On June 5th 1973, a group of 20 people met in Pontefract Library and the West Yorkshire Astronomi1al Society (WYAS) was formed. 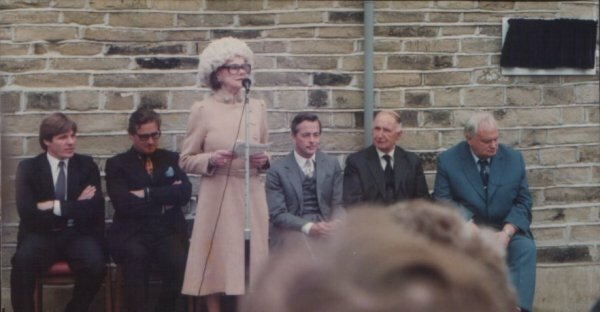 A few years after its formation the society acquired a room in the Carleton Community Centre and was later offered a suitable site in the grounds to build the observatory. 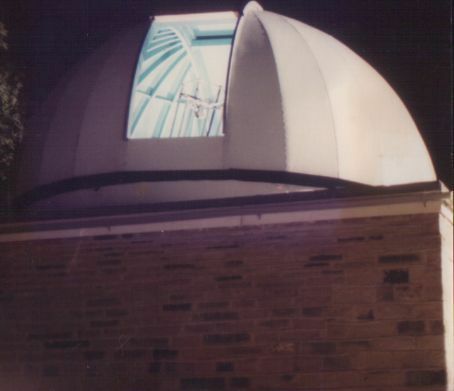 The observatory dome housed an 18" reflector on a German equatorial mount which we made out of tractor axels and Mini car exhaust pipes. It was very professionally built and in November 1997 problems started to occur with the original drive train. The 18" primary mirror was a plate glass parabolic with a focal length of 81" (2057mm) f 4.5 mounted on an 18-point support system. 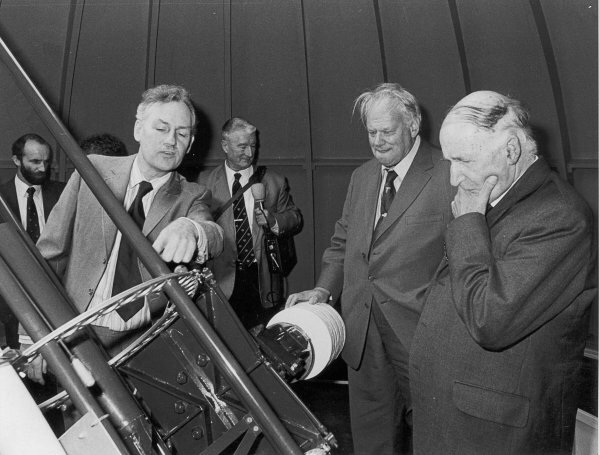 The telescope was used in Newtonian (f4.5) or Nasmyth configurations. The hyperbolic secondary used in the Nasmyth mode magnified 3.39x, giving an overall focal length of 274.4" (6970mm) f 15.24. The 18" telescope underwent a major refurbishment, with re-figured optics and a new drive system between November 1997 and February 1998. However, the drive system did not work properly. The telescope could not be used for imaging and was replaced with the current 14" Meade LX 200 GPS. The society has a range of other instruments, including a 10" Meade LX 200 reflector, a 10" reflector donated by the University of Leeds Physics and Astronomy Department, a Televue 4" refractor with solar filters and various accessories. The Meade and Televue are available for use at member’s star parties. Smaller instruments are available for use by members on any night of the year. There is also a well-stocked library for use by members. The WYAS members have worked tirelessly since its inception to bring astronomy to the community. Their work is unpaid and the Observatory is open once per month to members of the public on open nights. These, together with arranged group visits, regularly attract up to 2,000 people per year. Although there is a Members Night each Tuesday members of the public are always welcome to attend and listen to the professional scientists who turn up each month to give lectures, or simply join in with whatever we have arranged. In the past 8 years the members have made a huge effort to raise funds with the sole intention of bringing astronomy to people who have disabilities. 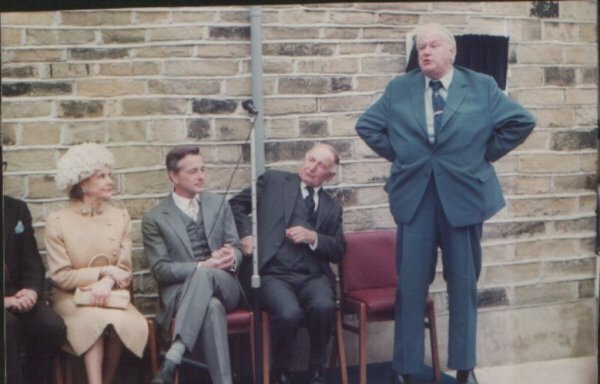 This has resulted in an extension to the building being erected, which incorporates a wheelchair ramp, a disabled access toilet facility, a kitchen and a warm computer room. In addition a large amount of research grade imaging equipment has been purchased and computer networking installed. We are also working on automating the dome. The purpose behind all of this work is to provide people with disabilities a facility where they can carry out their own projects with the minimum of help by able-bodied people. This will be the only facility in the country that we know of where people with disabilities will be able to take their interest in astronomy from basic learning to professional / amateur status. Our aim for the future is to join in with international research projects to that anyone who is interested can improve their skill levels to the highest attainable. We started off with 20 members. 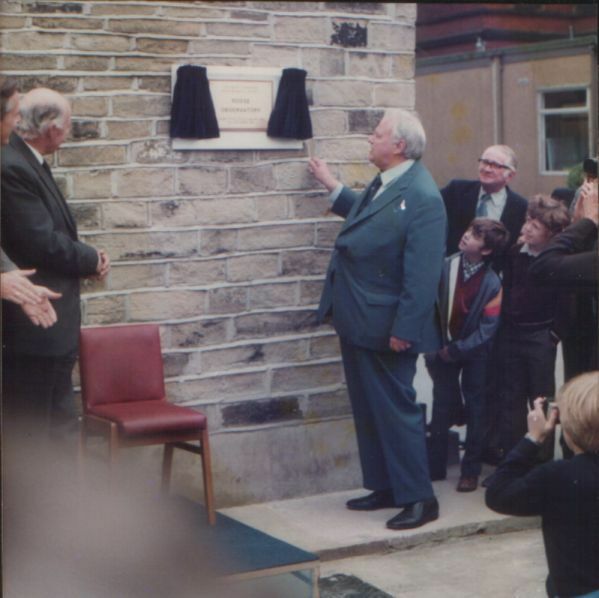 Since then membership has risen and varied between 60 and 110 each year. One 9 year old member has even grown up and obtained a PhD in the subject. WYAS is open to everyone so why not come and join us? Help us take astronomy to the people. 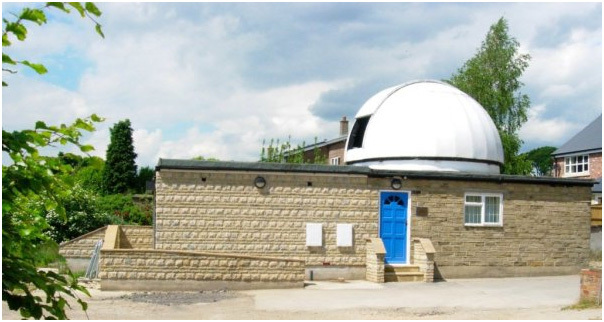 The observatory is open for visits and members will visit schools etc to give talks on astronomy. Open nights are held every month throughout the year between 7:30pm and 10:00pm. For further information, please contact the Secretary or any member of the committee. All observatory visits are booked through The Secretary.